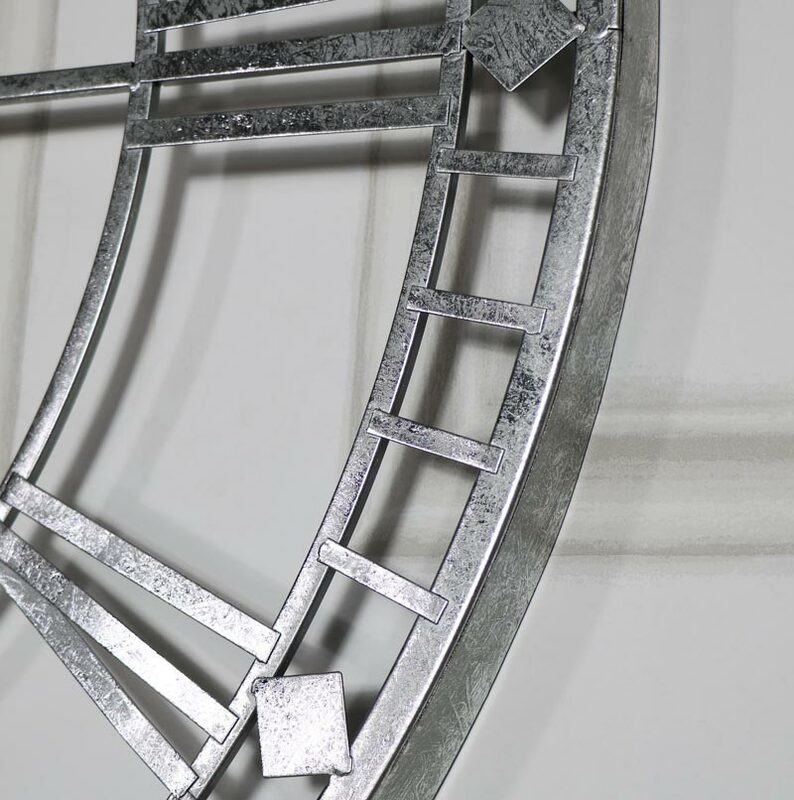 Create a bold statement in your home with this fabulous wall clock. 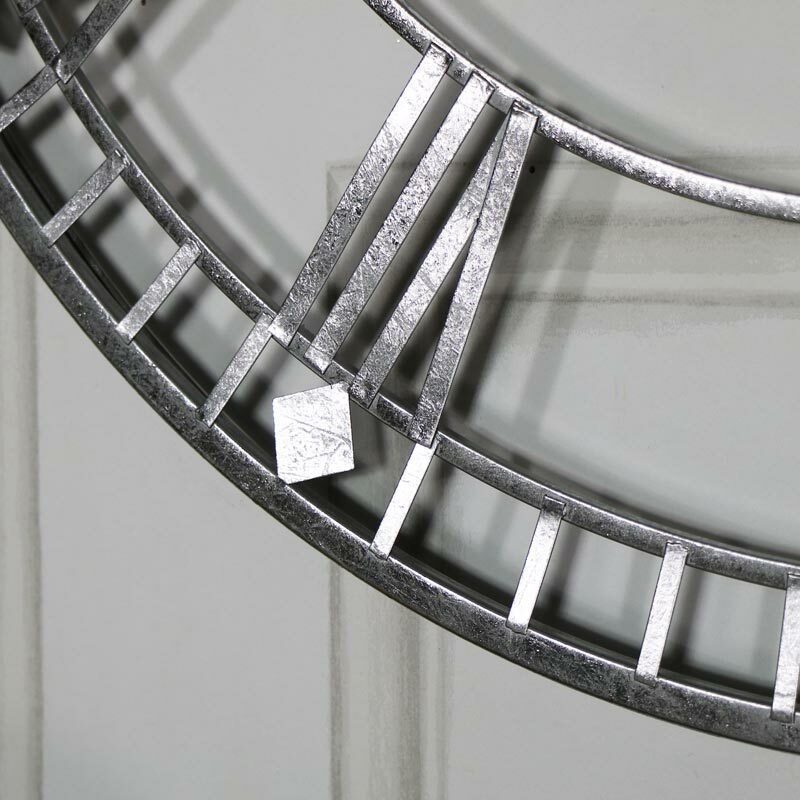 In the classic skeleton style, this clock will stand out with it's extra large size and beautiful silver finish. Large easy to read Roman Numerals help to create a vintage retro theme that will add character to a room. Perfect for hanging in the living room, hallway, kitchen or bedroom, this clock will beautifully complement your home. 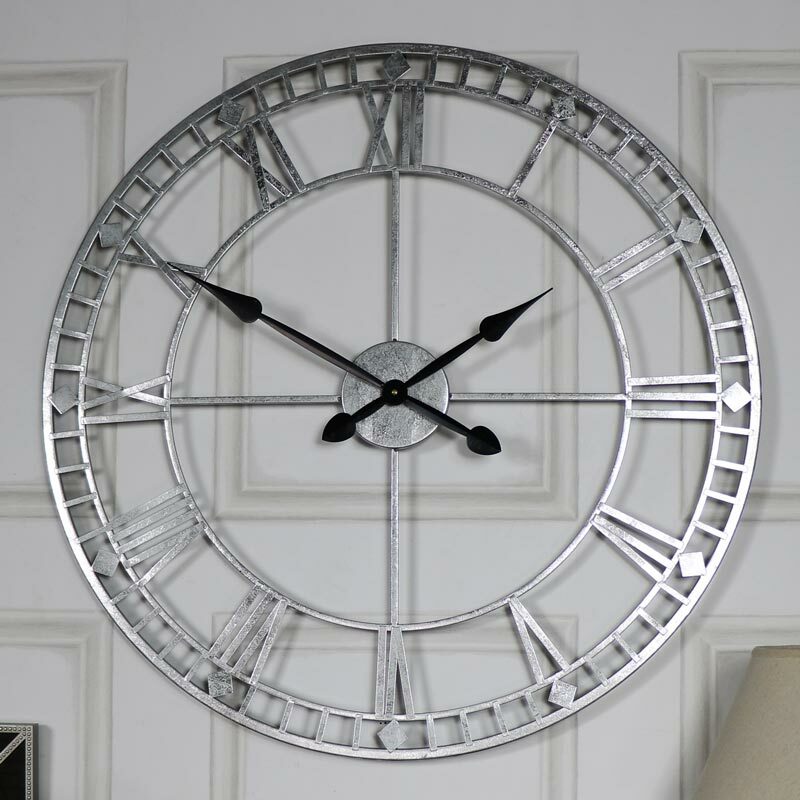 Made from metal in a silver finish this clock is in a lightweight design and easily wall mounted with hook on the back. The black hour and minute hands stand out against the silver of the clock. This clock takes x1 AA battery (not included). Picking the perfect clock to suit your style and decor has never been easier. We have a wide range of clocks from shabby chic to industrial and retro that will suit all decors, with wall mounted, floor standing and table top designs.